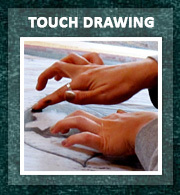 The 2019 Touch Drawing Gathering July 14-19 is almost full! Register soon if you want to join us. I will be drawing at the Global Earth Repair Conference May 3-5 in Port Townsend, Washington. I will give a Touch Drawing workshop and Song Bath at the Fairy and Human Relations Congress June 28-July 1 in eastern Washington. And I am currently arranging a Touch Drawing workshop Sunday September 29 at CoSM Chapel of Sacred Mirrors in Wappingers Falls, New York. See the full schedule with links to register. To be notified if I come to your region, join the mailing list. I am also exploring live video workshops and better ways to support Facilitators. 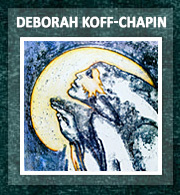 I am honored to have an essay & images in this epic book, Feminine Mysticism in Art. Many years in the making, this magnum opus provides images & writings by seventy contemporary visionary artists & writers who have committed their life’s work to the re-birth of the Divine Feminine in the West. A winner of the 2018 Nautilus Book Award, it was compiled & edited by Victoria Christian & Susan Stedman. Find out more and order the hardcopy or kindle edition. Watch this magical video about the Fairy and Human Relations Congress. My thoughts and images are sprinkled throughout. I am now offering twice-monthly Sound Baths on Whidbey Island. I am also arranging to hold them on many of my trips and conferences. It is my greatest joy to immerse in this deep sound field within the circle of participants. Instagram is a beautiful context to share images. 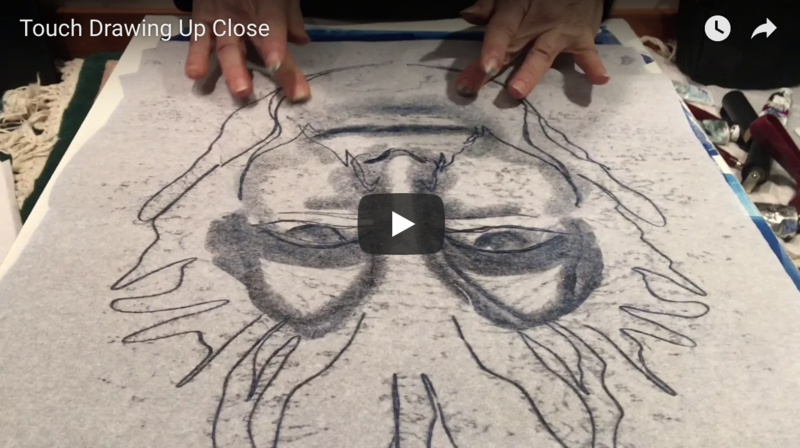 I am posting short videos while at conferences, photos of my process while drawing in nature, and new images. 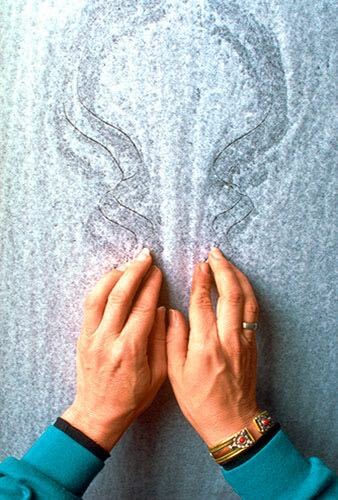 I was blessed to attend three international gatherings as Interpretive Artist in 2018. See the drawings I created as I listened to deep spiritual practitioners and thinkers from a great spectrum lineages. Journey through the 2018 Touch Drawing Gathering in a series of galleries focused on the essential elements of the experience. I had so much fun putting together this 3 1/2 minute video featuring SoulCards users from around the world. 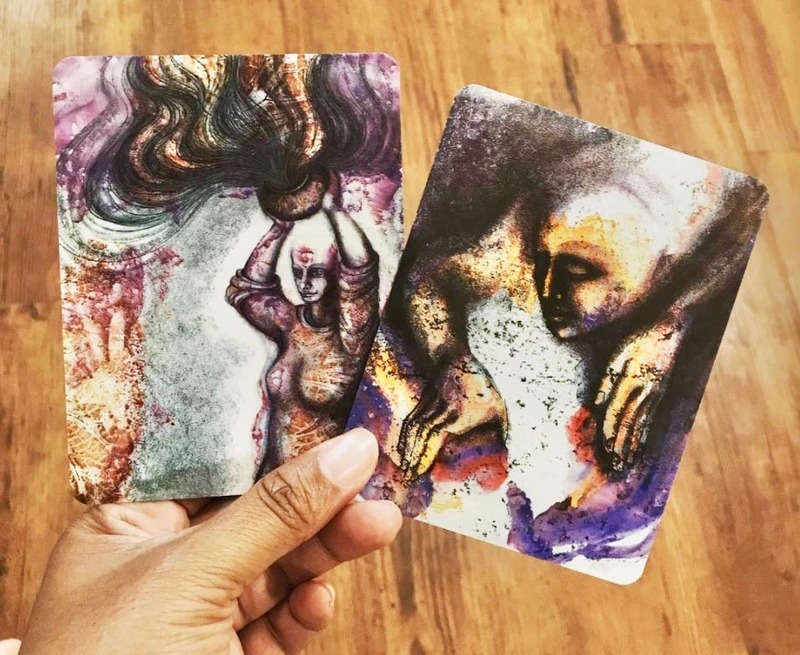 I recently discovered a new generation of SoulCards users on Instagram and Youtube – read some of their stories. Watch me create a Touch Drawing in one minute. This link will take you to my video page where I am collecting all my demonstrations, talks, and video interviews. Lot’s to explore! One of the deepest streams of my work opens up when I sit with someone with the intention of creating a series of Touch Drawings inspired by their presence. 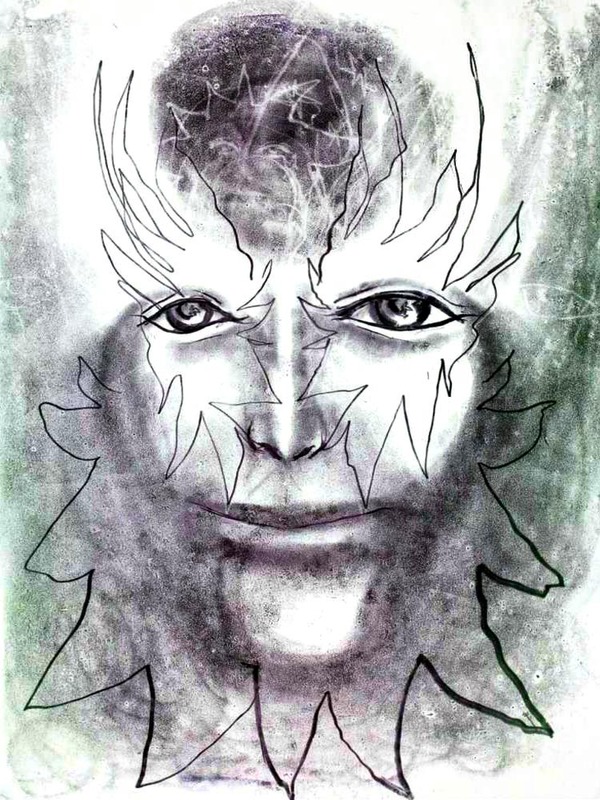 I have created Inner Portraits primarily through word of mouth since 1982. I know now that this work can happen in all it’s fullness via live video sessions. I am ready to make an appointment with you if you would like to experience this profound work. Explore the new Inner Portrait Galleries that help communicate some of the dimensions of this process. For years I have been asking how I might harvest the wealth of images in my archives. I finally received a surprising answer – coloring journals. We are starting some pilot projects to develop examples of how they can be used for cancer, grief and creative writing groups. Contact us if you would like to help open the way for new contexts in which to use them. 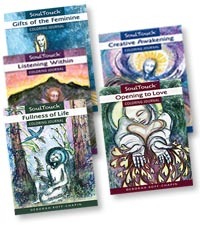 Find a free digital sample of Creative Awakening with four pages to color. This was more like a conversation between friends than an interview. 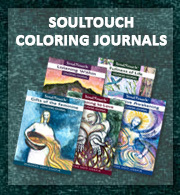 Susan asked about the process of creating the SoulTouch Coloring Journals, and other probing questions about my work. We just had a great conversation. It;s the last 30 minutes of her 90 minute show. 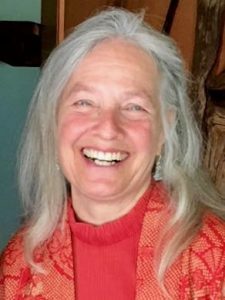 A wonderful hour-long conversation with Catherine Van Wetter on the theme Strengthening Your Soul Through Creativity. 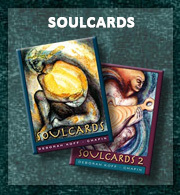 Give yourself an Online SoulCards Reading. We also have a better ecard program. The receiver sees the image in their email without having to click to an unknown site. Send any of over 200 images to a loved one with your own personal message. Send an ecard now.